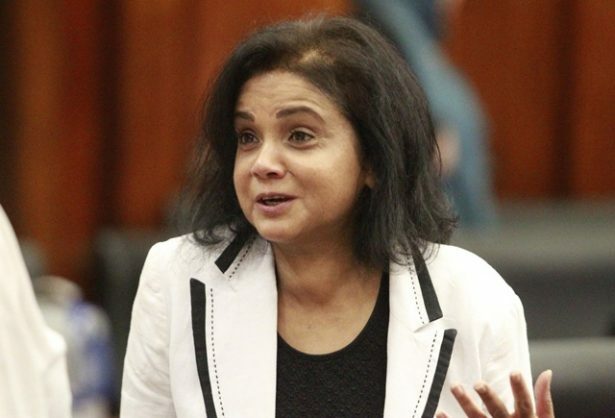 Current commissions of inquiry will set the tone for new National Prosecuting Authority (NPA) boss Shamila Batohi to deal with the mammoth task of restoring the beleaguered entity’s credibility, commentators say. But first she would have to clean house, according to the Helen Suzman Foundation, which said ensuring the independence of the NPA should be Batohi’s first task as she begins her new job tomorrow. The foundation’s Anton van Dalsen said this would mean the organisation would show initiative in dealing with high-profile cases, which former president Jacob Zuma’s appointees did not do. “The NPA has to become an institution that is not biased and that takes decisions without any influence from government – that’s the main thing. “If you go back to the tenure of Shaun Abrahams, who was NPA head [from 2015 to last year], the only high-profile case he handled which led to prosecution was against a sitting minister of finance. South African Communist Party spokesperson Alex Mashilo said Batohi needed to lead the way in restoring the NPA’s credibility for the public. He pointed out the mounting evidence against high-level officials in government and the private sector in recently concluded and ongoing commissions of inquiry. The Mokgoro commission of inquiry into the fitness to hold office of former NPA bosses Lawrence Mrwebi and Nomgcobo Jiba would be one such commission that would demonstrate the need for a more independent NPA, he added. “The commission into the fitness of Jiba and Mrwebi to hold office has already focused on that. But Van Dalsen warned that the findings of the Zondo comission alone could take years for the NPA to deal with, and would require much of its time and resources. “Looking at the Commission of Inquiry into State Capture, which was recommended by the previous public protector, they have to make sure they thoroughly deal with that. Judge Johann Kriegler said he had complete confidence that Batohi was up to the task before her. He cited the apparent trust she had garnered among the public and the legal profession at large. “I am very reluctant to be an adviser to her, as she is a competent woman. She knows what the job before her is and all she needs is the good wishes and support of South Africans.